We've been enjoying a really fun winter break. It's been a lot of relaxing, staying in our pajamas and trying out some new crafts. 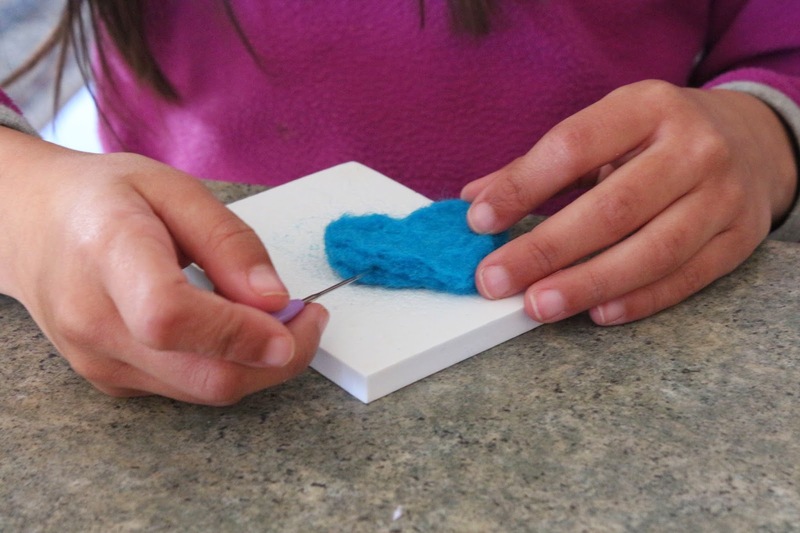 My daughter has been interested in learning about needle felting so we got some supplies and tried it out. This is really fun activity for kids and adults. 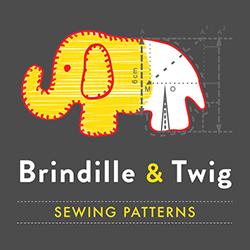 Both my kids, age 8 and 6 were able to make some cute little shapes and had a lot of fun doing it. Here's what you'll need if you want to give it a try. 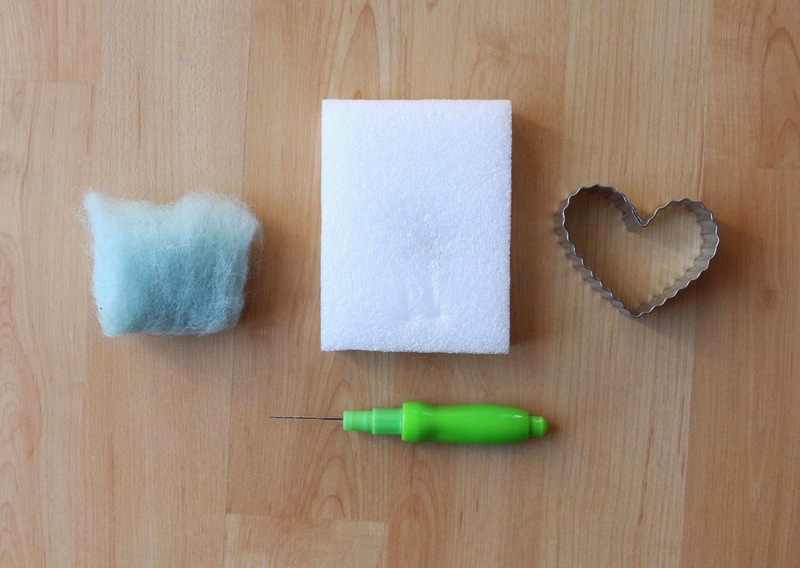 A foam block, needle felting tool, wool roving, and a cookie cutter for the shape. We watched this video to get us started. 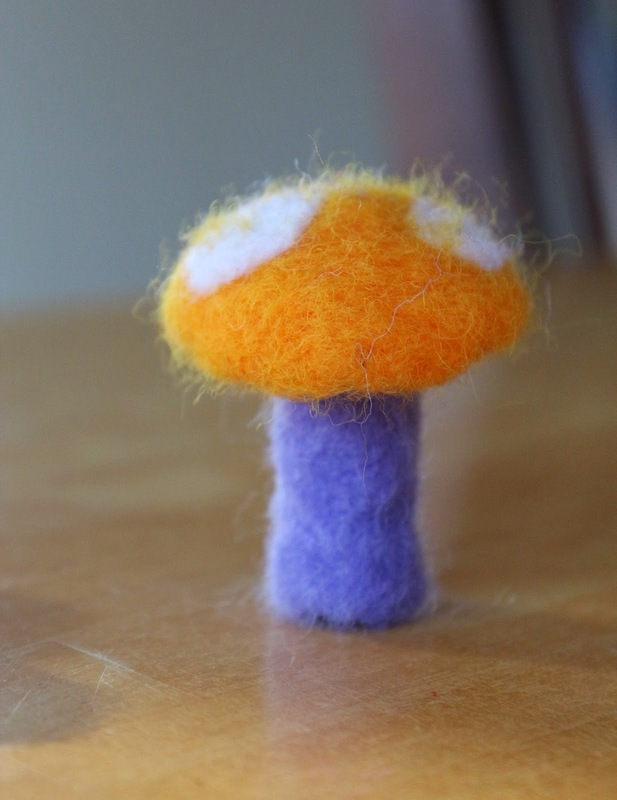 One word of caution, the needle felting tool is just that, it's a needle. I was very nervous that the kids would poke themselves and reminded them constantly (much to their annoyance) to be careful. In the end, the only one who poked themselves was me! Go figure. 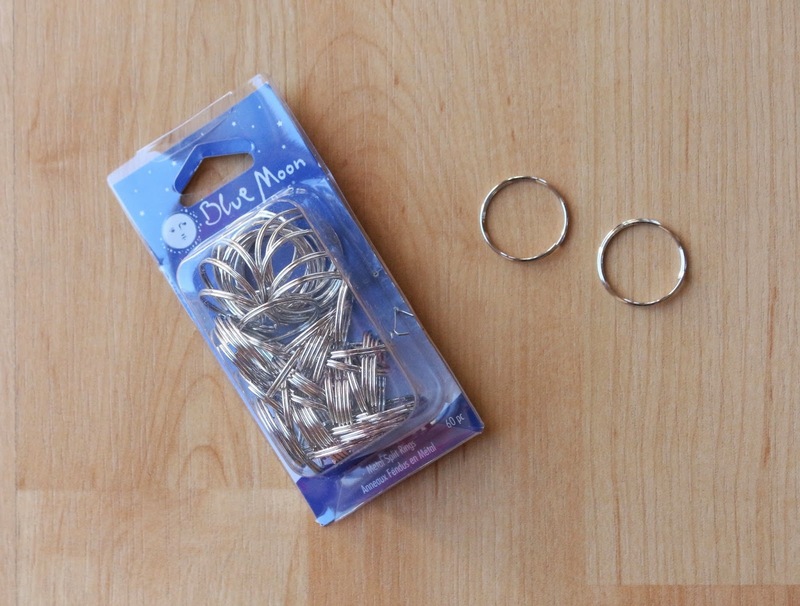 We attached metal rings to a few so we could use them as keyrings or backback charms. 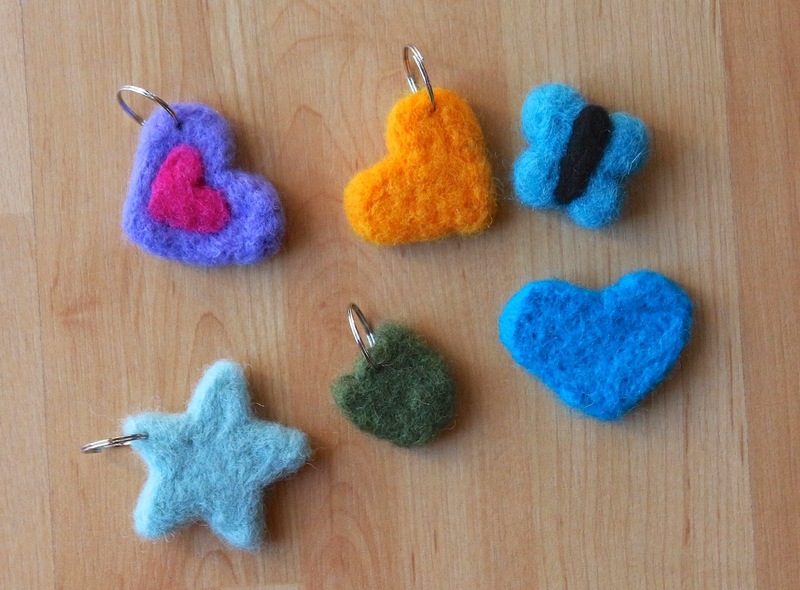 They would also make really fun Valentine's gifts. Once you get the hang of it, it's fun to experiment. There are lots of videos and tutorials for endless fun! Here's to a fun and crafty New Year!